“Rubygate” and the future of the “Silvio system” in Italian politics. In this blog entry, John Agnew, co-author of Berlusconi’s Italy, reflects on the downfall of Italy’s former Prime Minister and media mogul. Sentenced to seven years in prison and permanent exclusion from public office. The sentence will be appealed. Apart from its severity, this sentence handed down by a Milan court in what has been widely advertised as a simple case of an elderly man procuring an underage prostitute (“Ruby Heartstealer” or Karima El Mahroug) for parties at his sumptuous villa, was not that surprising to those tuned in to the court’s proceedings over the past two years or so. The defense didn’t go too well. Recorded telephone conversations contradicted what seemed increasingly like suborned testimony by all too many witnesses. That the man in question is Silvio Berlusconi, who at the time the charges were lodged was Italian Prime Minister and who has been central to Italian society and politics as boss of the main private TV networks and leader of his own center-right political party (now named the Partito dell Liberta’) for the past generation, has been used by him and his entourage as the political exploitation by leftist prosecutors of a personal proclivity to impress others with his ability to entertain on a lavish scale. Seen in this light, why can’t the prosecutors leave him alone? What harm was done? Anyway, the parties were “elegant dinners,” whatever some people might say about prostitutes dressed up as nuns. Even if she were a prostitute, Ruby and her consorts were well paid? How could Mr. Berlusconi have known that Ruby was seventeen and thus underage? This is how the tabloid magazines and newspapers such as Libero and Giornale (many owned by the self-same Mr. Berlusconi) and his PR representatives have variously spun the story. Yet, this intensely personalized account of both the case and the man misses the most important aspects of the entire Rubygate affair, as it has been dubbed in the Italian media, after the “party name” of the then-teenaged prostitute added to the scandal signifying suffix “gate” from the Watergate scandal of the 1970s. This is that there were three charges in the case and only one relates to the employment of an underage prostitute. The other two involve serious abuse of office. They relate directly to how Silvio Berlusconi has used his office of Prime Minister since entered national politics in 1994 as a “system” of rule. One is that Berlusconi has bought off witnesses involved in what was in fact a system for providing prostitutes to his parties at Arcore outside of Milan. Ruby herself has been one of these. This is clear from the recantation of testimony and the appearance of large sums of money in her bank account “donated” by Berlusconi. The police have shown through tapped telephone conversations and bank records the extent to which Berlusconi has tried to put himself above the law by essentially suborning perjury. Of course, while in office he has also expended much of his political energy trying to arrange special legal status for himself (so-called laws ad personam) in the face of the fraud and conflict of interest charges he has faced in numerous civil court cases. It will be interesting to see if charges are now brought against key witnesses in the Ruby case, such as Nicole Minetti, Emilio Fede, Maria Rosaria Rossi, and others all obviously involved in procuring prostitutes for Berlusconi and his guests. The other charge relates to a telephone call Berlusconi made to police HQ in Milan on the night of 27-18 March 2010 from Paris where he was at an international meeting representing Italy. This was directed at releasing Ruby from police custody where she was as the result of arrest for theft from a “roommate.” Claiming that Ruby was the niece of then-President Mubarak of Egypt, Berlusconi asked that Ruby be released on the personal recognizance of Nicole Minetti, his local representative (also his personal dental hygienist and regional councilor for Lombardy – – you can’t make this up). Ruby then repaired to the house of a Brazilian prostitute and not into the custody of the community she had previously been assigned to by the juvenile court in her hometown of Messina, Sicily. Berlusconi’s intervention, interpreted by his defense as an act of kindness and “institutional responsibility” (although apparently no other person has had such personal intervention with the police from the head of government), led to a charge of extortion through abuse of office by prosecutors. In other words, Berlusconi was held to have used his official position to request a special favor. In November 2012 Italian law changed in regard of such extortion (concussione in Italian) to distinguish extortion through coercion from extortion by induction and impose a more severe penalty in the case of the former. In this perspective, Berlusconi was held guilty by the court of using his authority as head of government to coerce a police official into releasing Ruby. Concussione per costrizione or extortion by coercion is subject to more severe penalty under the new law than extortion by induction (inference). So, because the court interpreted his intervention as coercive according to the new law, Berlusconi’s sentence was increased to seven years from the six originally sought by prosecutors. So, this trial has been about much more than buying the services of a juvenile prostitute for jolly parties or elegant dinners. 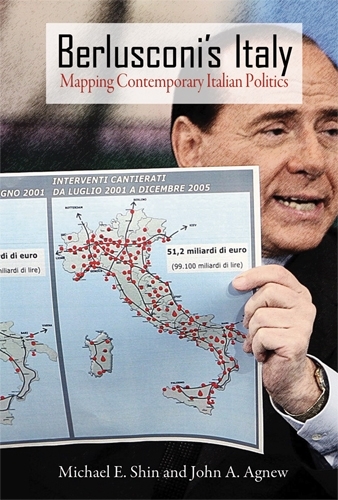 It has been about a system of power institutionalized in Italy under Berlusconi. While the case is appealed, Berlusconi remains the boss of his own political party and dominates Italian private television. His party is in grand coalition with the center-left Partito Democratico from whose ranks comes the current Prime Minister, Enrico Letta. This government of larghe intese (“wide agreement”) was formed with great difficulty after the indeterminate national election of last February 2013 in which both of the major political groupings lost votes to abstention and to the new internet-based Movimento 5 Stelle. How can the judgment of he court remain extraneous to this governing arrangement when it reveals a corrupt and decadent system of fixing things for those who can afford to do so? Will Berlusconi hold this government hostage to his demands for judicial “reform” (essentially letting him off the hook), while the center-left sees itself as trying to honestly deal with Italy’s business at a time of severe economic crisis? Who will finally call Berlusconi to political account for the travesty of rule, pursuing public office in pursuit of private interests, he has inflicted on Italy over the years? A time for reckoning: but who will have the guts to call him out? When I first pitched the project that has become Celebrating Debutantes and Quinceañeras to my dissertation chair, the feminist in me worried that I might be judged as a phony because of my interest in traditions so associated with sparkles, poufy dresses, and curtsies. Fortunately, my chair had just finished organizing her daughter’s bat mitzvah, so she didn’t need much persuading when I proposed studying “debuts” and “quinces” to better understand gender and American immigrant adaptation. With this book, I now have the exciting opportunity to show readers how much more there are to debutantes and quinces than meets the eye. 1. They tie personal success to collective success. Although female coming-of-age parties are framed as “for the girl,” the immigrants I studied organized these events as collective endeavors, designed to showcase the beauty and success of their families and cultures, as well as that of their daughters. This requires celebrants to recognize what they want as inextricable from their parents’ and communities’ desires, needs, and goals, and, ultimately, it imparts a sense of responsibility for the well-being of those around them. This is remarkable when one considers that the majority of my subjects are “millennials,” teenagers who have been accused of being more self-involved and significantly less civically and politically engaged than the generations before them. 2. Debuts and quinceañeras also re-establish first-generation authority. Viewers of MTV’s My Super Sweet 16 and Quiero Mis Quinces (which paint debutantes and quinceañeras as teenage divas who control their parents via tantrums and manipulation) might be shocked that the immigrant parents I observed actually exercised a good degree of influence and control over their daughters. During preparation for their events, for example, daughters often came to appreciate their near-total financial dependence on their parents. And, by stressing the “tradition” aspect of their daughters’ celebrations, immigrants asserted themselves as “cultural experts” who their daughters needed to properly understand the traditions they were taking part in. This is vital for children of immigrants who are at risk of “downward assimilation.” Inter-generational collaboration is also healthy for all youth because of how “cyberculture” has enabled many young adults to evade meaningful contact with anyone beside their peers, though healthy maturation requires youth to relate to older people and things. 3. And quinces and debuts enable daughters to experience obstacles and figure them out. Though these events allow some parents to establish greater authority over their kids, the immigrants I studied were not “Tiger” or “helicopter” parents. In fact, the young women who experienced the best outcomes in my study were those who were granted some autonomy during their debut or quince preparation and performances. Letting young women to take some financial and/ or organizing responsibilities and enabling them to respectfully voice their disagreement during planning helped cultivate leadership, money-management, communication, and conflict-management skills. And these are all aptitudes those on either side of the Beyoncé-as-feminist debate should be able to agree are vital to women’s social, political, legal, and economic equality. Of course there are other ways immigrant-organized debuts and quinceañeras avoid (and do not avoid) producing millennial narcissists and chauvinists. 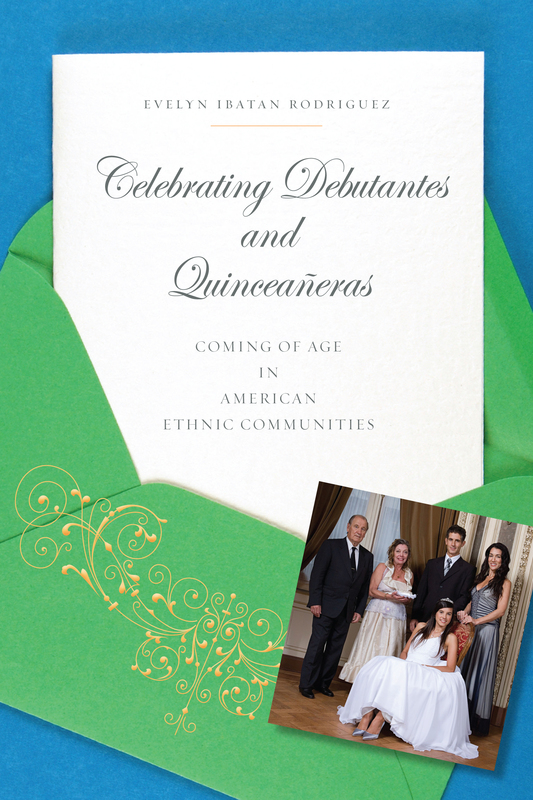 Nevertheless,Celebrating Debutantes and Quinceañeras should give the hand-wringers some pause—and maybe a little hope. Because, as I write in the last pages of my book, the advancement of the communities I studied, and of our society in general, depends on how we enlarge our culture to accommodate diverse forms of expression—including feminists in sparkle dresses, being American and Filipino and/or Mexican at the same time, and learning to care for others by organizing a birthday party. 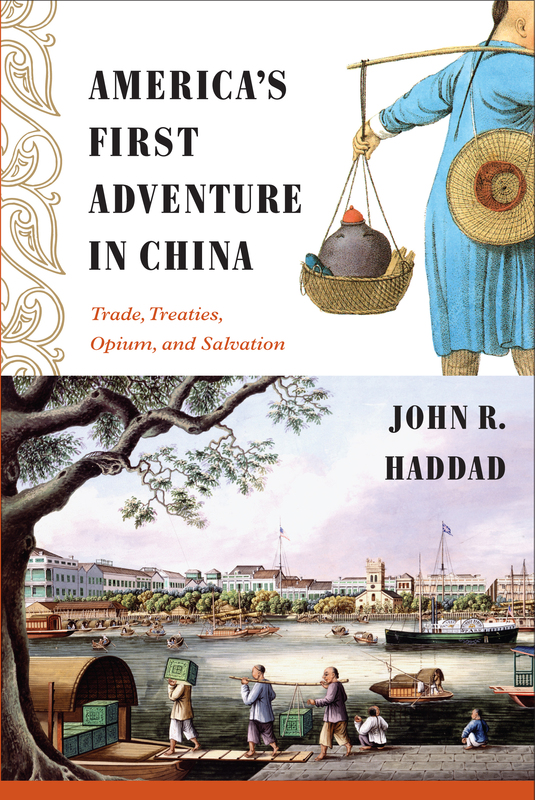 In this blog entry, John Haddad, author of America’s First Adventure in China, writes about The Empress of China, a play about an American voyage to China, that he saw in Hong Kong. In 1784, the Empress of China sailed from Philadelphia to Canton, becoming the first American vessel to reach China. This commercial voyage, undertaken mere weeks after the end of the Revolutionary War, marked the beginning of the Sino-U.S. relationship. In 2011, the Hong Kong Reperatory Theater staged The Empress of China, a dramatic rendering of this historical journey. The play was a big deal. The Theater commissioned a production from Joanna Chan, a successful script writer and director of historical movies and television dramas. In anticipation of the show, the city was festooned with banners and posters advertising the production. After finishing its run in Hong Kong, it moved to New York for its American premiere. I was not only living in Hong Kong at this time, I was writing a book specifically about Americans in China – America’s First Adventure in China. When I saw the performance, I had recently finished writing a chapter on the very same voyage. I knew as much of the actual history as anyone, and was well-equipped to compare the play with the historical record. You may think I am one of those historians who takes pleasure in pointing out the factual inaccuracies in historically-themed plays and films, but that is not my aim here. I understand that Joanna Chan had to take liberties to ensure that her production appealed to today’s audience. That said, I do think that a comparison is meaningful. Though Chan mostly stuck to the historical record, she made two big additions. First, there is a scene in which the Americans demonstrate fencing to the Chinese, and the Chinese teach the Americans about Kung-Fu. The scene is thrilling, funny, and acrobatic…but it never happened. Second, the play includes a forbidden romance between Samuel Shaw, a dashing American, and the lovely daughter of a Chinese merchant. This also never happened. Why do I point out these additions? Trust me: my purpose is not to say either “you want history to be exciting, but I’m here to crush your hopes by informing you the past was dry” or “you want meaningful cultural exchange to have taken place, but the truth was neither side showed any curiosity in the other.” Actually, deep personal relationships and cultural exchanges did really happen – they just did not happen during the very first Sino-American encounter. In the 1800s, Americans in China formed close relationships with the Chinese and engineered meaningful exchanges of culture. Examples are plentiful, but I’ll share just a couple. In the 1820s, Nathan Dunn, a merchant from Philadelphia, forged friendships with Chinese merchants and government officials. Why did they like him? Along with being affable, Dunn opposed on moral grounds the opium traffic that was making his peers rich. These friendships came in handy. When Britain’s East India Company tried to force Dunn out of the China trade, his Chinese friends stood by him and protected his business. These friends also appreciated Dunn’s fondness for Chinese art and culture – though “fondness” does not adequately capture the obsessive nature of Dunn’s collecting. Mania is more like it. With the help of Chinese friends, Dunn amassed thousands of artifacts, which he shipped to Philadelphia. This massive collection became the first serious exhibition of Chinese culture in America. Another example involves Anson Burlingame, a former congressman from Massachusetts, as U.S. Minister to China appointed by Abraham Lincoln in 1860. When Burlingame arrived in Beijing, China was in turmoil: the Qing Government had lost the First Opium War to England, was losing the Second Opium War, and was trying to quell a rebellion. An ardent opponent of slavery, Burlingame saw China’s foreign affairs through the lens of America’s great debate over slavery. Just as Southern whites unjustly used superior force to enslave blacks, so too did Britain use its superior military to bully the Chinese. After befriending Chinese and European officials, Burlingame sought the unimaginable: to replace the West’s “gunboat diplomacy” with what he called the “Cooperative Policy.” In a nutshell, the European powers and China would settle disputes not with warfare but rather by developing mutual trust, engaging in dialogue, and abiding by treaties. Though the “Cooperative Policy” did not last, it did define Sino-Western relations during the 1860s. As Burlingame prepared to return stateside in 1868, the Chinese fêted him with farewell banquets. At one affair, they blindsided him with a remarkable request that shows the deepness of their trust. Would Burlingame agree to represent China’s interests in Europe and America? Burlingame agreed, was given an official Chinese rank, and embarked on an amazing diplomatic odyssey. I will close by making one last observation about The Empress of China. That the play exists at all shows that we in the twenty-first century are highly interested in – or concerned about – U.S-China relations. Yet Chan’s additions suggest something else. Our desire for this relationship to be about friendship, trust, and cultural exchange is so strong as to compel us to project these things onto the past. But do we in the present really need to enhance the past so it can offer hope for the future? If we look not at this single voyage but at the first 100 years of Sino-American interaction, we see much to encourage us. A response to Michael Douglas’ recent news item that links HPV and cancer. A re-posting of Damaged Goods? author Adina Nack’s feminist research blog entry from Girl w/ Pen that addresses the recent story in the media surrounding Michael Douglas’ oral cancer. Having written about sexually transmitted HPV (human papillomavirus) for 13 years, I’ve been waiting for the day when celebrity would lend his or her fame to spotlight the realities of HPV infection, especially of HPV-related oral cancers. My hopes were that big news could bring about big change. Today is that day, but it remains to be seen if it can be long-needed catalyst for change. When news first broke, about three years ago, that Michael Douglas had oral cancer, my gut instinct was that it had been caused by HPV, likely one of the same types of HPV that has been causally linked to cervical cancer. The mucus membrane tissue of mouth and throat are similar to those of genital skin, so researchers have known for some time that, like herpes, HPV could be transmitted oral to genital, as well as genital to oral. Back in 2009, the research findings were already clear: oral transmission of cancer-causing HPV means that almost all of us are more likely at risk than we are safe from risk. For my 2010 feature article in Ms. Magazine, I focused on the importance of not only educating the public about HPV-related cancers in men but also about the HPV-oral cancer link. In addition, I advocated for the need to destigmatize all STDs: my research and book have shown that STD stigma makes it more likely for at-risk/infected individuals to put off getting tested and treated. STD stigma also makes it less likely for individuals to disclose their sexual health status to partners, placing those partners at greater risk for infection. In addition, negative stereotypes about the ‘types’ of women and men likely to be infected distort our ideas of who is at risk. I’ll wrap up this post with a call: for us to come together, to learn the facts and not be swayed by incomplete media coverage and confusing pharmaceutical claims. We must support significant funding increases to investigate exactly how we can prevent HPV-related oral/throat cancers, which research shows to be steadily on the rise and more fatal than cervical cancers in the U.S.